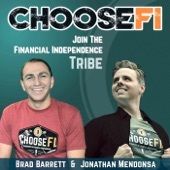 Who else is listening to the Choose FI podcast? Can we discuss? Re: Who else is listening to the Choose FI podcast? Can we discuss? I have a friend who is relatively frugal but has no idea about mustachianism or FI (I'm slowly introducing her to the idea). We had been talking about happiness and finding fulfilment so I recommend the Happy Philosopher episode to her. I almost had second thoughts about sharing it because the weird deep voice intro at the start about FI is so weird and culty. People who are on the path to FI don't need to be encouraged to "join them" and anyone who isn't familiar with the concept probably thinks it's some sort of brainwashing. I haven't listened to too many episodes but I'm willing to give the most recent ones a go, seems like they're starting to get their delivery fine tuned. The Mad Fientist can only do so much so I'm glad other people are filling the niche as well. ETA: I had to stop listening to Radical Personal Finance because the guy is so GD preachy and also refers to abortions as murdering babies. Woah dude! He has a lot of good stuff, but the religious overtones have definitely become more frequent. I think he realizes that this listenership would be different when he made that change. My only complaint about this podcast is that there is so much time in the podcast devoted to nothing other than blowing glitter up their and other FIRE bloggers asses. So much of it is incredibly unnecessary and can be edited out. I just listened to their podcast from Fincon. That was my intro and it felt a little bit like the old tiny classified ads commercials where you're sitting there wondering where the actual producess or method is. That seems to be par for podcasts though since there is no time limit. I've recently started listening to podcasts and in general it seems there is plenty that could be cut out. Inside jokes, long self-advertisements, etc. The Fincon was just a fluff episode, an ode to their first year in production. Nothing more, nothing less. There's generally more substance every other week, but I understand since it's the Holidays they wanted to scale it back. What is that? I didn't see it on the main website. What does it link to? I'm not saying I don't enjoy the FI podcast, it can be energizing in it's own way and I often learn from it, I also enjoy the other "paths" taken by others like MMM/Nord, the folks who truly had nothing to "sell" and I think that's the difference between the schools of thought, those who were teaching without trying to earn incomes and those who are still trying to monetize the "scene". I think every "scene" gets monetized sooner or later, the same model is being used in the health/fitness podcast/blog "space". From the other side of the podcast gear, I can attest that it's pretty much the same as daytime talk shows or talk radio. No new models here! Podcasters gripe about fellow podcasters who take too long to get to the point, or are too self-promotional, or too slimy about the sales. It's supposed to work better as relationship marketing. The professionals are learning from each other online, of course, but also at conferences like Podcast Movement, PodFest, and FinCon. There's probably another dozen conference I'm not even aware of. The "good" news is that listeners don't have to pay the podcaster's bills. (An outsourced quality podcast can run $800-$1000/month in production costs.) Just like radio & TV, that can be done by sponsors and advertisers. We all debate the podcaster's additional expenses of mailing lists and transcripts (and now video), and then figure out how to get sponsor/ad revenue to monetize those features too. I like guesting on podcasts because I can reach out to an entirely new audience, or reach my existing audience in a more convenient way. I've recently realized that I could make it as simple as reading my top 10 posts into an audio file and just link that on the site. Reading your posts out loud is an age-old proofreading technique, so I might as well do it into a live mic. As far as the host (or guest) taking too long to get to the point: the only tactics I'm aware of are speeding up the playback or skipping ahead in 30-second increments. That depends on the podcast player. This thread helped me discover the ChooseFI podcast and 9 months later I'm burnt out on it and only download episodes if I see an interesting guest. I like Brad a lot but Jonathan gets a bit too preachy/excited at times. I don't need to be sold on "the superpower of FI" or "just getting a little bit better"... I'm already listening. The BiggerPockets Money podcast has taken their place in my podcast rotation. Good point about no new models, just shiny/new packaging. I see podcasting going the way of radio and TV now that the advertising is moving in and the "Tim Ferris" model is growing in popularity (lots of ad-reads, automate if possible). As for speed, I listen to 80% of podcasts at 1.8 speed, I only slow down the "important" ones or those with a participant with a heavy accent (requiring me to listen at slower speed to make out what they are saying). And by the way Nord, my quotes around "interesting people" in the above post was not in jest or sarcastic, you're one of the folks adding much more value than you are harvesting from the FI space (I assume...). I like most of the Choose FI podcasts and I think these guys are doing good work in an enthusiastic manner. I was concerned that they were repeating a lot of interviews that I may have heard in other interviews from the Mad Fientist, for example, but I found that although there was some overlap there was also additional tidbits that their research drew out. I see them providing more food for thought in energetic way. They are striving to be inclusive and insightful. I do have a commute and they give me a weekly source of new material. I haven't listened since February. Someone on the pod mentioned the basics - "Cut your expenses well below your means, save/invest the rest in mostly low-cost index fun, and wait to hit ~25x your annual expenses." There is of course room for discussion on the margins, or for real estate, or starting a business, but that's FI at its core. I don't need a 2x/week podcast to tell me that. It also got very cultish. And I'll echo what others have said above - the constant "use or page for travel rewards / join the FB group / rate and review" just overpowered the episodes. And from what I've read since I stopped, it doesn't seem like I've been missing much. Exactly. The BiggerPockets Money podcast offers the same FI motivation candy without the self congratulatory cult digressions.